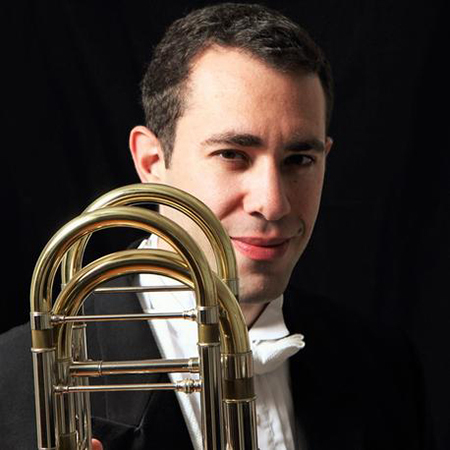 Born in Rehovot, Israel, Ilan Morgenstern* is hailed by the International Trombone Association Journal for his “rhythmically driving, technically flawless, and unfailingly dynamic and exciting” playing. Labeled a “must buy” in the International Trombone Association Journal, Morgenstern’s debut recording project It’s Alive!! New Music for Bass Trombone, a collaboration with composer Robert Denham and pianist David Gilliland was released in May of 2016.